The orecchiette shaped pasta are from the region of Puglia but the sauce is from my native island of Sicily where pistachio grow in abundance in the foothills of Mount Etna , Sicily’s emerald green gem. Payment is due when you schedule for a class. You must notify us if you are cancelling your attendance at least four (4) days prior to the day of the class for a refund of no more than 50% of your payment. Otherwise, payment is non-refundable. Two classic Italian recipes in this class. Slow cooked polenta with layers of roasted vegetables and chunky Sicilian tomatoes sauce. The olive oil cake represents the simple beauty of Italian food by using just a few ingredients. Perfect menu for a spring lunch or summer dinner with friends. salmon with roasted ratatouille, saffron aioli, barley risotto. Kumquats granita. Lots of roasted vegetables in this late spring version of ratatouille with a little more crunch then the traditional method. Fantastic also served on a crostino or cold polenta. We will finish the class with a Kumquat granita . Tiny and delicate chicken meatballs, flavored roast chicken jus and light béchamel with aged parmigiano will bind the layers together of this individual lasagne. The perfect cantuccino will be paired with a sweet wine. We are opening June with a timballo. 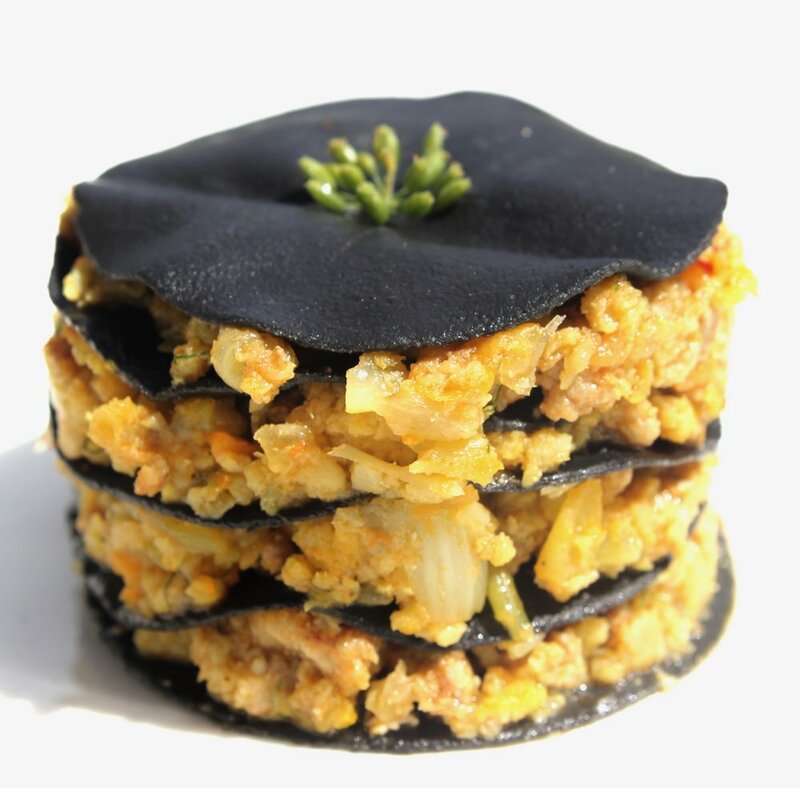 Timballo is a dish from another era it is different from region to region.The preparation dates back to the Renaissance, and a version filled with, among other things, goose, trout and candied orange peel was served at the Medici daughters' weddings. The best-known depiction is of a 19th century assemblage of chicken livers, hard-cooked eggs, sliced ham, chicken and truffles all baked together in a casing of macaroni and pastry in a fragrant, meaty sauce. Timballo had its moments of glory in the 1963 film with Burt Lancaster called "Il Gattopardo" (The Leopard) by Luchino Visconti and the film Big Night. Our version is more simple and approachable. A friend had a pecorino custard in during a trip in Italy , after describing it to me I came up with this individually baked custard made of 3 different pecorini. Serve it warm, or room temperature, with fig compote, orange or cherry tomato preserve. We are celebrating Sicily in all her opulence by pairing 3 wonderful wines from the island. This is a one-dish meal with a delightful ragout of seafood, and nduja. Nduja is a salumi from Calabria made with pork belly , shoulder, roasted peppers and spices. Slightly savory, the gelato that we will make has a rich flavor with a grassy finish. Croxetti or corzetti is a medieval pasta from Liguria. Ligurian have a long tradition of making pasta. Croxetti are the most beautifully shaped pasta, they are small circle of dough with decoration stamped on. We will honor the traditional way of making pesto in class by using a mortar and pestle, a milder olive oil and the best basil Genovese. Hardly any garlic, this pesto Genovese is a mild and elegant sauce. Farinata is a simple garbanzo bean oven baked pancake with olive oil and sea salt. Lemon crab risotto with Zucchini blossom, lemon granita. Warm weather risotto is possible and much welcome in our kitchen. Lump crab meat, lemon and stuffed zucchini blossom Roman style is what we are using to elevate this dish. My family recipe for granita is something that I cherish and love to share, it is simple and wonderfully balanced. Silky pasta stuffed with a pungent French cheese ( Epoisses ) topped with crispy prosciutto, sweet apples and celery. Chocolate budino ( custard), garnished with Sicilian fiore di sale and Sardinian olive oil. The big bites of fresh lobster with diced vegetables will be the sauce for the layers of homemade squid ink and saffron ravioli. Lots of colors in this dish that will be finished with a delicate broth. This rich, complex lasagna is typical of the region of Emilia- Romagna with freshly made spinach pasta, meaty bolognese sauce, silky besciamella and parmiggiano reggiano. Agnolotti, cappelletti and tortellini in clear chicken broth. Unlike tortelliniagnolotti contain a filling with salumi and chicken livers, while the shape can be round or square.Typical of Mantova. Cappelletti are shaped like little heats and filled with parmigiano, ricotta and nutmeg. Baci di dama are cookies typical of Piedmont, the region from the northwest of Italy, known for its hazelnuts. Piedmont is also rich in other delicacies such as chocolate, white truffles, and wines (Barolo, Barbera, Moscato D’Asti, Asti Spumante). The name, baci di dama or lady’s kisses, originates from the cookie’s resemblance to two lips intent on giving a kiss. This dough will get you very close to the flavors of Napoli at home without using wood-fired oven. We will use san marzano tomatoes for the sauce, buffalo mozzarella from Campania region, the best olive oil and oregano from Sicily. Fresh homemade pasta, tomato sauces. Roasted vegetables, and buffalo mozzarella stuffed cannelloni. This style cannelloni from Sorrento will warm hour hearts. This recipe is Italian comfort food at its best. This dish is from the city of Mantova Italy. Each tortello is stuffed with pumpkin, Parmigiano, mostarda di frutta, spices and crushed amaretti biscuits to create an intriguing sweet-meats-savory combination. Simple butter and Parmigiano reggiano will be our topping. We will also make mostarda in the class. We will finish with a fragrant almond polenta cake. This is a rich Italian stew from Lombardy literally translates to “bone with a hole” the bone-in vealshanks will give a rich flavor. Osso buco will be topped with gremolata. we will finish the class with a classic risotto Milanese with a wine reduction. Roasted squash lasagne , caramelized pears with gorgonzola gelato. Homemade pasta with sage, creamy besciamelle sauce, roasted butternut squash and cheddar cheese. Pears poached in prosecco and gorgonzola gelato will finish this elegant winter dinner. Stuffed turkeywith homemade ricotta and spinach. Celeriac pure, apple torta della nonna. Perfect for your Christmas or Thanksgiving. Homemade ricotta, spinach and pine nuts will be the stuffing for the butterflied turkey breasts. Celeriac pure with gremolata (gremolata is a chopped condiment made with garlic, parsley, lemon zest, and anchovy. Gremolata is the perfect umami). The Germans, the Jewish and the Italian have a variation on this cake or torta. This apple torta is dense and moist studded with a ton of apples. It will become one of your favorite fall cakes. Gorgonzola and hazelnut tortelloni, pumpkin veloute'sauce , fig almond tart. We wanted to include pumpkin in our class.This is a delicious starter recipe. Homemade Tortelloni is stuffed with sweet gorgonzola and hazelnuts, served in a creamy velvety pumpkin veloute. Pastafrolla is Italian for "short pastry", and it is the base most used for a variety of tarts and cookies. This dough will be the base for our crostata or tart. A comforting and delicious dish, gnocchi is a soft dough dumpling made with flour and potato. We will serve it with a light clam, mussel and broccoli rabe sauce. Malfatti translates to "badly formed". These ricotta, spinach and parmigiano dumplings are delicious. Like gnocchi we will learn to use as little flour as possible to make a light fluffy dumpling. We will finish with the best beurre noisette, (a sauce of butter cooked until brown). Beurre noisette will become one of your favorite sauces. Keep it in your fridge and fry duck eggs for your Sunday special breakfast. Saffron Malloreddus, sausage and fennel ragu' Biancomangiare. Learn how to make gnocchetti Sardi a beautiful sausage and fennel ragu. We will finish with a dessert from my childhood in Sicily, biancomangiare. Biancomangiare is a budino originated some time in the Middle Ages. Made with homemade almond milk, we will serve it with a fruit compote. 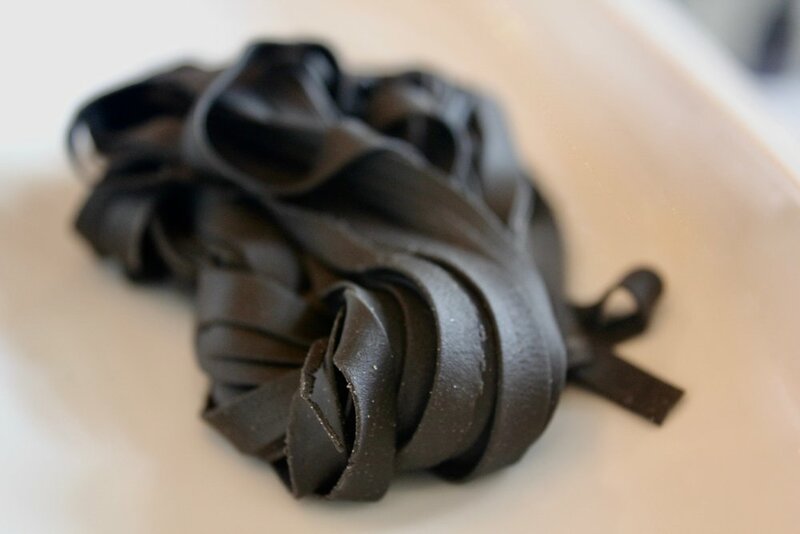 Lets celebrate the flavors of Sicily with squid ink homemade pasta, Monkfish ragu with fennel,nduja, and saffron. Ricotta granita with honey, pistachios, and fig compote. After the class enjoy pecorino sardo with homemade crusty bread. We will seat down all together around our farm table to enjoy the exquisit dinner. This dinner is paired with wine and the price is $75.00 per person. Summer sauces, the best pesto Genovese, Sicilian pesto and fresh homade basil and tomato sauce. Friday night at QE cook and eat. Burrata and preserved lemons ravioli, preserved lemons, perfect scallops with salsa verde. Campari sorbet. Learn how to make the perfect pasta, with fresh ricotta and in house preserved lemons. Salsa verde is one of the most loved sauces in Italy and perfect for grilled fish or veggie. Lets finish with a campari spritzer in a sorbet form. Brasato beef fillet, slow cooked fennel, pearl barley risotto with watercress, peas and pecorino. Dinner for dad. Brased beef fillet cooked in wine , sweet fennel roasted slowly and a summery barley risotto.We will use the same technique used for risotto but we will substitute barley. We will learn how to make ricotta, and use it for a baked ricotta with herbs and olives, served with fettunta (crostini grilled with olive oil). also we will make ravioli with ricotta and preserved lemons.We will finish with strawberrys marinated in aged balsamic. Learn how to roast skin-on pork belly that's been wrapped around a pork loin.Crackling mahogany crust and juicy meat seasoned with fennel, chile, and orange. Serve out of the oven or slice cold for great panini. We will serve that with a spring vegetable tart and a lemon granita. Learn how to entertain Spanish style. We will start with layers of thin potatoes and onion for this version of Spanish tortilla. Serve it cold, as appetizer, with salad for lunch or take it on a summer picnic. One of my all time favorite dish, this paella is a winner. Iranian saffron,bomba rice, chorizo, lobster. We will finish with a perfect flan, a baked custard with a rich brown syrup.